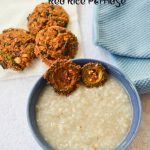 Palm Jaggery Halwa / Karupatti Halwa is a delicious south indian dessert. 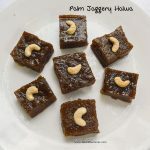 When i was looking at the blogging marathon themes Palm Jaggery Halwa / Karupatti Halwa is the first thing that came to my mind. This is one of the desserts that my little girl enjoys eating. It just slips into your throat. Cant stop eating and wanting more of it. 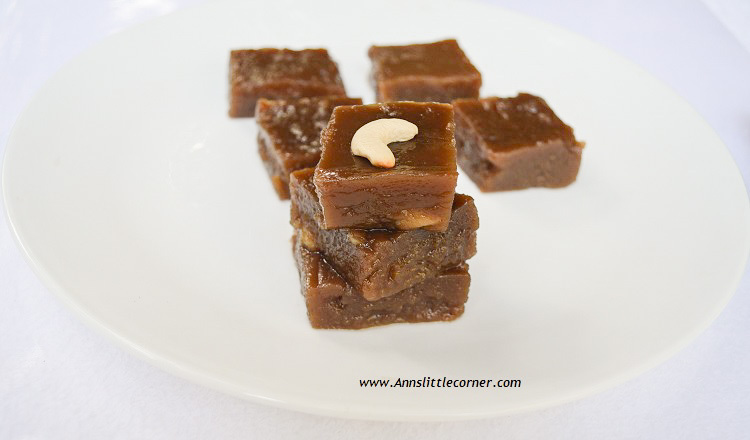 The exquisite sweetness of the Palm jaggery with the velvety smooth and soft texture of the halwa is simply awesome. Good quality ghee is very important to give halwa its character and that traditional and ancient appeal. 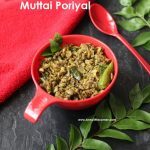 You can serve this plain or garnished with toasted nuts of your choice. 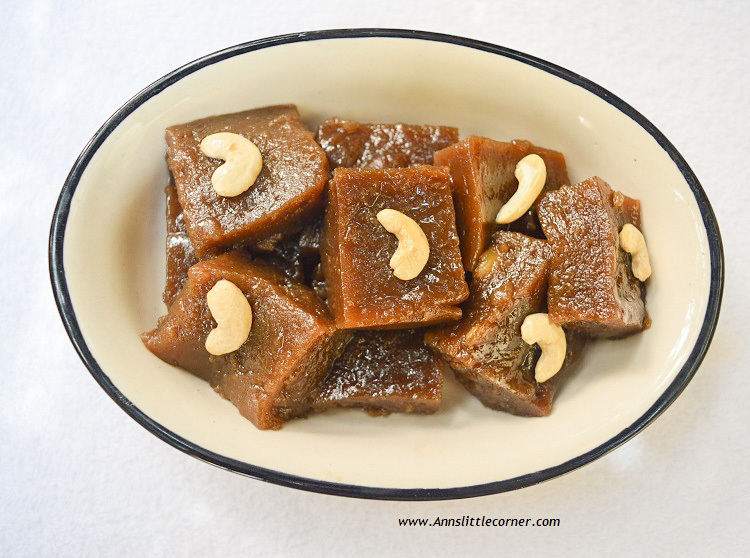 Palm Jaggery Halwa / Karupatti Halwa is a Healthy and Delicious Dessert. Add water and Jaggery into a Wok and heat them. Heat until all the jaggery dissolves. Cool it completely. Strain for any impurities. Set it aside. I have taken rice flour. 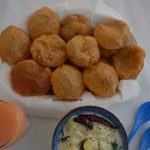 Add in water and a pinch of salt and mix them without any lumps into a watery liquid. Heat 2 tablespoon ghee in a wok and add in the rice flour mixture. Keep heating it. When it starts thickening add in the coconut milk. Keep heating until it reaches a pasty consistency. Now add in the jaggery water. Keep stirring and mix them without any lumps. When the mixture starts thickening add in the remaining ghee and rose water or cardamom. 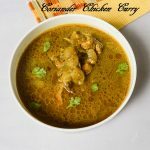 Keep cooking in low flame until it reaches the halwa consistency and it comes up without sticking to the wok. Add in chopped nuts and mix them gently. Now switch off the flame. Grease another plate and pour the halwa mixture into the greased plate. Allow it to settle down. It thickens as it cools down. Slice the into desired shapes. 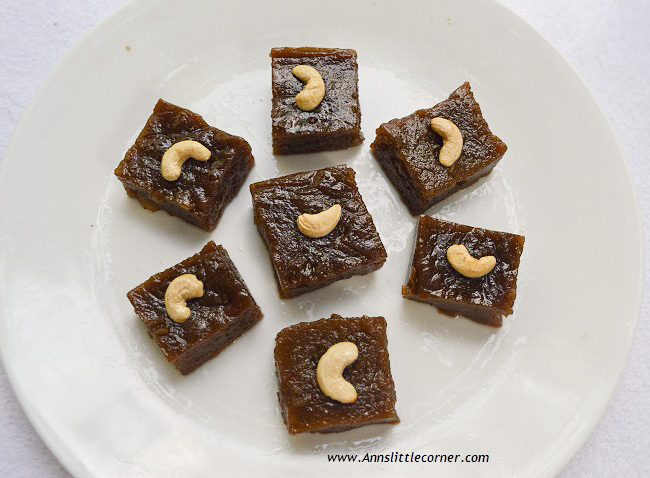 The Sweetness and the Color of the Halwa completely depends on the type of the jaggery used. Be generous with ghee as it is the key ingredient in making smooth halwa. The halwa thickens when it cools down. I have taken rice flour. 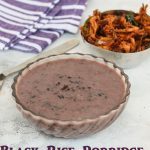 Add in water and a pinch of salt and mix them without any lumps into a watery liquid. Heat 2 tablespoon ghee in a wok and add in the rice flour mixture. Keep heating it. When it starts thickening add in the coconut milk. Keep heating until it reaches a pasty consistency. Now add in the jaggery water. Keep stirring and mix them without any lumps. When the mixture starts thickening add in the remaining ghee and rose water or cardamom. 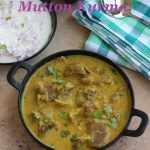 Keep cooking in low flame until it reaches the halwa consistency and it comes up without sticking to the wok. Add in chopped nuts and mix them gently. Now switch off the flame. Garnish them with nuts and serve them. 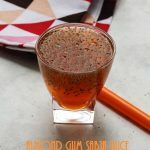 This is for Srivalli’s Kid’s Delight event, guest hosted by Sandhya, themed on Family Recipes. Looks like sharkara payasam squares!!! 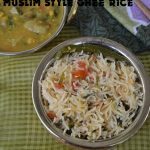 Yummm…..
Nice, easy recipe ..Thanks for sharing with us..
That halwa surely looks so inviting..very nice method of using palm jaggery. Those squares look nicely done. How beautiful and delicious this halwa looks, and love that addition of palm jaggery. Very tempting halwa platter there. 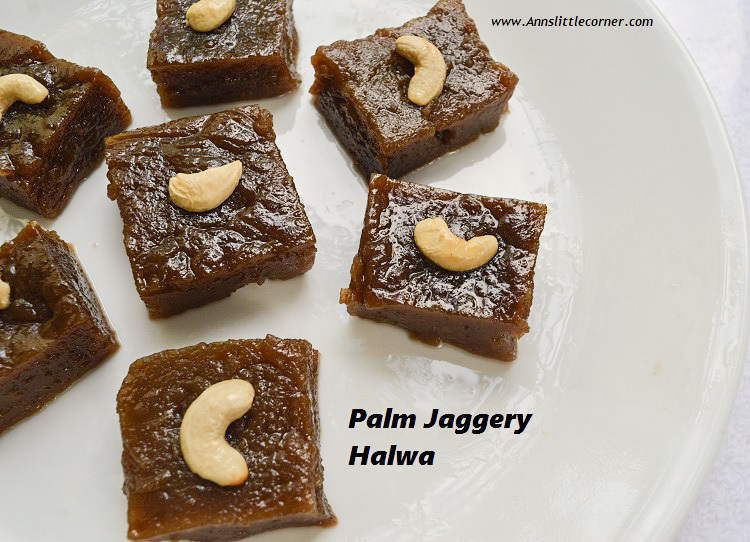 Palm jaggery is so flavourful and I am sure these halwa must have tasted out of the world.. 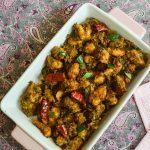 I have a big pack of karupatti, looking for interesting recipes, this looks perfect! Will try and let you know! what a decadent looking treat! That is such a traditional and delicious looking treat. 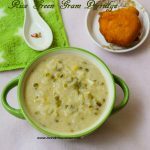 Such a lovely sweet recipe!! Loved this one!